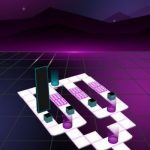 Ketchapp just keeps churning out those casual titles, and since a lot of the company’s games are extraordinarily simple, it’s no surprise that they’ve got new stuff seemingly every couple weeks or so. 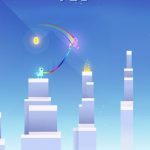 That said, Ketchapp’s latest Android and iOS casual arcade title is called Swing, and that’s pretty much what you do in this game – swing from platform to platform. 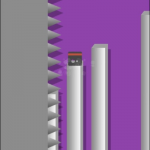 Just tap the screen when you see that the rope is long enough to allow you to swing to the next platform; there doesn’t seem like much to it, but as you’ll soon find out, mastering this game is harder than you may think. As you keep swinging from platform to platform, you’ll earn gems, and you’ll eventually be able to unlock new characters. We’re here to help you do just that, as now we’re going to share with you an exclusive list of useful Swing tips and tricks right after the jump. When you’re trying to gauge the length of the rope before tapping, you should lean farther out. By stopping too close (and not too far), you’ll be more likely to miss the next platform. Of course, you don’t want to tap when the rope is too far out, but generally speaking, the game doesn’t mind it as much when you’ve got the rope too far, as opposed to too short. Always try to tap just at the right time, but when in doubt, lean far and not too short. The platforms in the game will change elevations more frequently as your total points go up. That’s going to make it progressively harder for you to judge the distance from one platform to the next. And that is where our next tip comes in handy – don’t just look at the distance, also imagine how the rope would appear when you’re stretching it out. And if the platform is lower, you’ll have an easy time in most cases making it to the next platform, as your starting point is above the next one. Gems are the game’s only form of currency, and you can get them after a round depending on the time you have remaining at the end of it. You can also earn gems by hitting the Free Gems button; this will launch an ad video, which you can watch to earn bonus gems. The only thing you can use these gems for is for new characters. Once you’ve got some gems, you can spend them on a new character, or alternately get a new one by liking the game on Facebook. Whichever route you choose, the characters will only look different, but won’t perform differently from your stock character. The backgrounds and platform appearance will change, though, and that’s what you want to look at when choosing a character; choose the one where the backgrounds and platform appearance are conducive to how you prefer to play. 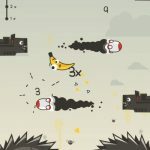 Do you have other tips and tricks for this addicting new Ketchapp game? Let us know, if you know some useful tips for Swing, that we haven’t included in this article. Also, in case you are interested in some exclusive hints for previous Ketchapp games, be sure to head over to this link. Have fun!